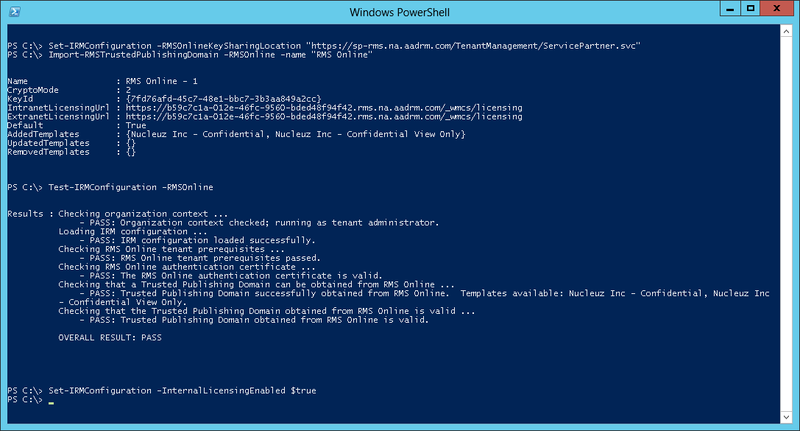 These instructions will step you through enabling Microsoft Office 365 Message Encryption in your tenant account. Office 365 Message Encryption requires Azure Rights Management. This service is available free for certain O365 and Exchange Online account types (E3 or higher, Plan 2 or higher). If you do not already have one of these account levels, you can either upgrade or purchase the service as an add-on to your existing O365 account. Azure Right Management is activated via the O365 Admin Center. There's currently 2 flavors of this as Microsoft is working on a new UI. Wait ~12 hours for changes to take effect. At this point Office 365 Message Encryption should be enabled and ready for use. 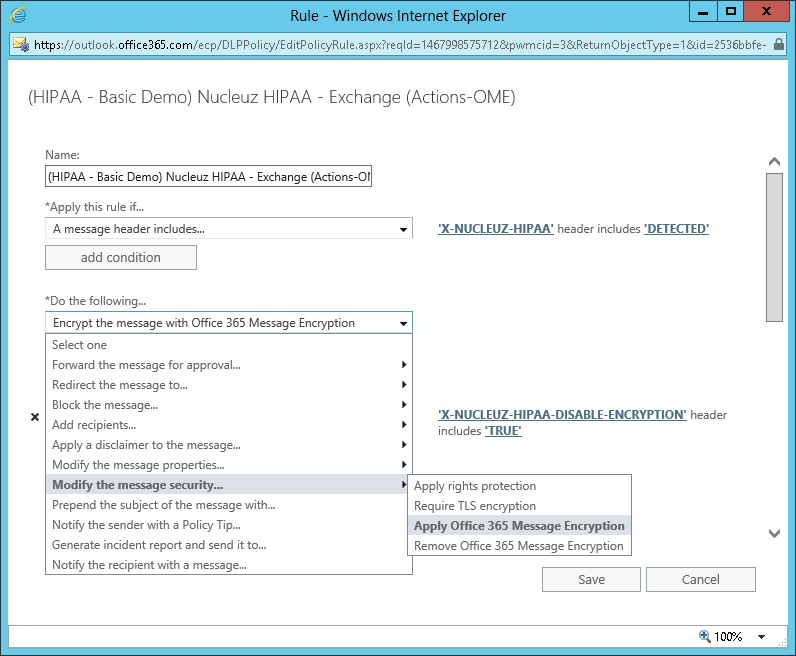 You can now install Nucleuz DLP Policies which utilize encryption.